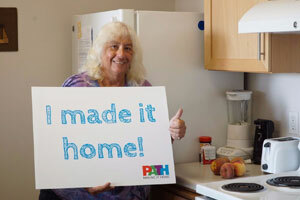 Get to know PATH, our staff and clients, and learn how you can help end homelessness. 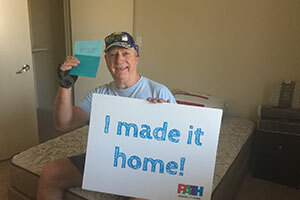 Mr. M is a Veteran who experienced homelessness for one year, but now he has a home at one of our newest permanent supportive housing communities, Marmion Way. Now that he has a home the first thing he is going to do is take a long bath and sleep in his new comfortable bed. He is also looking forward to exercising and traveling. Welcome home, Mr. M!